Step by step guide on how to install WordPress theme : WordPress is one of the most used Content management systems for blogs today . All praises to the very easy interface and effective management features in WordPress that make WordPress a breeze to use . For new WordPress users it might be a bit confusing to use and install WordPress themes manually , but you will get a hang of it very soon . If you are new to WordPress then you can follow this guide to installWordPress theme . 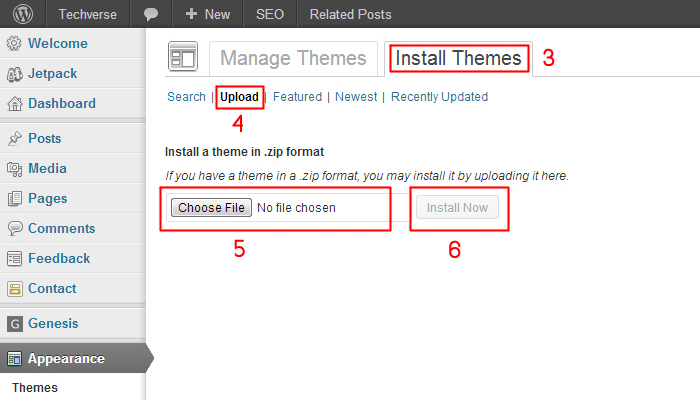 METHOD 2 : You can manually upload the theme through FTP and install the WordPress theme . The first method is the most convenient , but if any case you are not able toinstall WordPress theme using WordPress , you can use the second method to manually install WordPress themes through ftp . How to get a WordPress theme ? Before we install WordPress theme , we need to have a WordPress theme which we are going to install . You can do a Google search for WordPress themes and choose from a variety of free and premium themes . Most of the sites provide a free demo of WordPress themes , take a look at those demos and select a theme with the best designs and features . Alternatively i would recommend can browse through many free and premium themes from the following sites and get the theme of your choice . These sites are very trusted by the WordPress community and have a lot of affordable and feature packed themes . Visit the above sites and browse through the different categories of themes . browse through the demos of various themes and download any theme which interests you . the theme will be downloaded in a zip file , inside which you will a manual , read me file and other license files . Extract the theme files to your desktop or any other location convenient to you . Note: Read the manual and read me files carefully as they will help you to customize and troubleshoot any problems further when you install WordPress theme . Step 1: Login to your WordPress dashboard . From your WordPress menu on the left side , select appearances > themes . In the page that opens , click oninstall themes to install the WordPress theme . 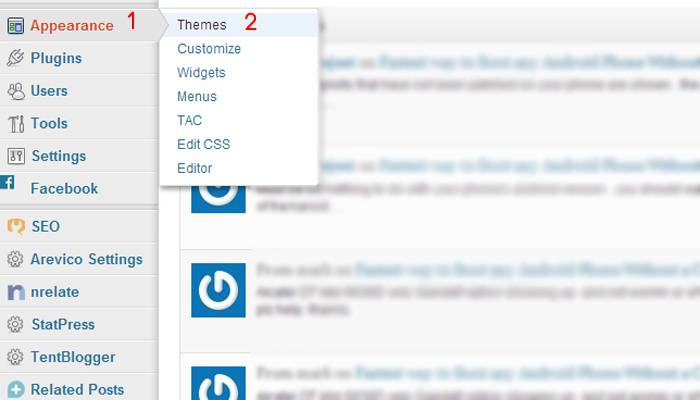 Step 2: Now you are viewing the WordPress theme manager , Through this page you can search many free and premium themes . As we already have a theme , we will proceed further to install WordPress theme . Step 3: Now we have to upload the WordPress theme . click on choose file and navigate to the folder where you had extracted the theme files. Select the theme file and press enter . Now click on install now to install now the WordPress theme . Step 4: When your WordPress theme is installed , you will see the following page . Click on live preview to see a preview of the theme on your site before you actually install the WordPress theme . If you like the click on activate toinstall the WordPress theme . Step 5: Alternatively your newly installed WordPress theme can also be viewed from your WordPress theme page , along with previously installed themes . That was the default method to install WordPress themes . If in any case you are not able to install WordPress themes through this default method , then follow this second method to install WordPress theme manually though a FTP server . Follow these instructions below . According to your host the folder structure of your hosting may differ , so i will guide you through the basic steps to install WordPress theme , which is similar for all hosts . Step 2: Connect to your Ftp server using the login details provided by your hosting service provider . 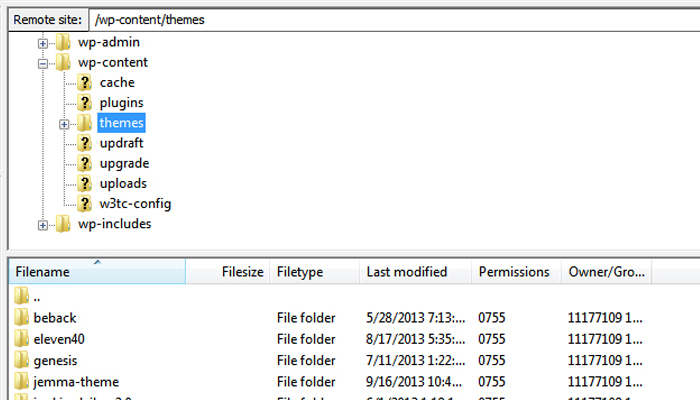 Step 4: Upload your extracted theme folder into the theme folder inside yourftp server . Wait for a few minutes until the theme files are uploaded . 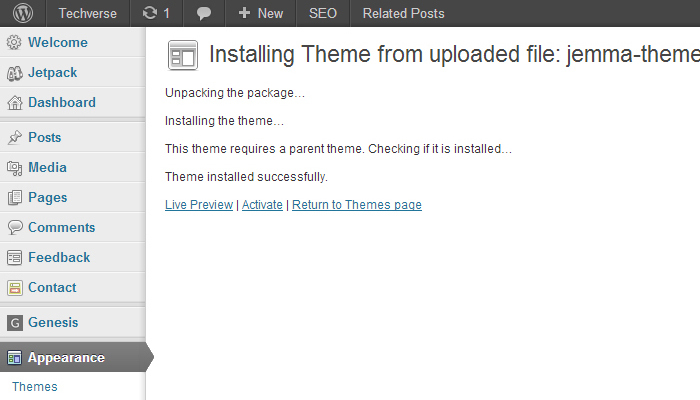 Step 5: Once the theme is uploaded , Login into your WordPress dashboard and click on appearances and select themes . 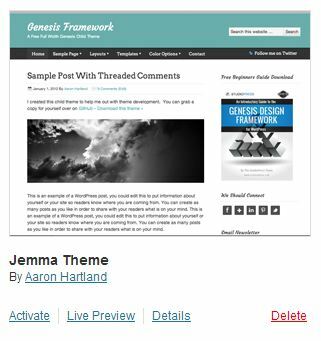 Your new theme will now appear in WordPress , click on live preview to see how the theme look on your website or click on activate to use the theme on your site . Now you can go ahead and install any WordPress theme . You have now learnt to successfully install WordPress themes . But the most important part is to install WordPress themes from legal sources . Do notdownload WordPress themes from warez sites or illegally . WordPress themesdownload illegally will have malware and bad links in them which will get your site hacked or worse penalized by Google . If you face any problem through this process , then let me know of them through the comments . i will try my best to help you out .